In November, I was pleased to accept the invitation of Research Information to take on the role of Editor for International Pest control Magazine. This long established journal of 55 years has been a firm fixture in the world of pest management and one that has been a part of my reading since I first graduated in 1984. It was a daunting task, but with support from the team of contributing Technical Consultants, I was pleased when my first issue as Editor hit the internet shelves. Copies are available by subscription and can be found at www.international-pest-control.com. 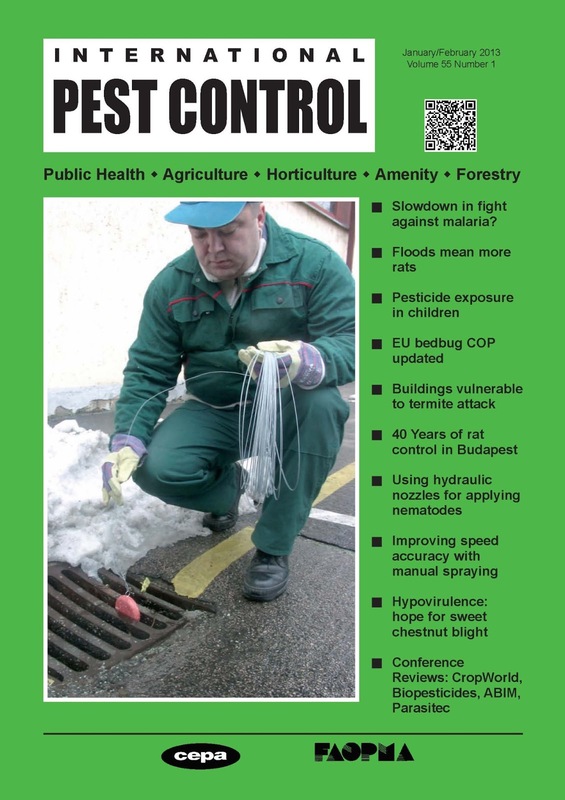 Should you be reading this and wish to get in touch, email me at editor@international-pest-control.com.